Finally decided to quit smoking and start vaping? Hooray! You’re about to join an estimated 3.2 million fellow smoke-free vapers in the UK. Benefit from the less-harmful impact that e-cigarettes have on our health, compared to smoking traditional tobacco products with starter kits. Looking for your first vaporiser can be tricky business if you don’t know what you’re looking out for or what you might need to start vaping. Take those first few steps towards becoming a new smoke-free you. In need of a helping hand? We’ve compiled this handy guide to the best e cigarette starter kits to make it a little easier on you. If you don’t know what you’re looking for, its quite easy to buy items that you don’t need, or you’re not ready for. 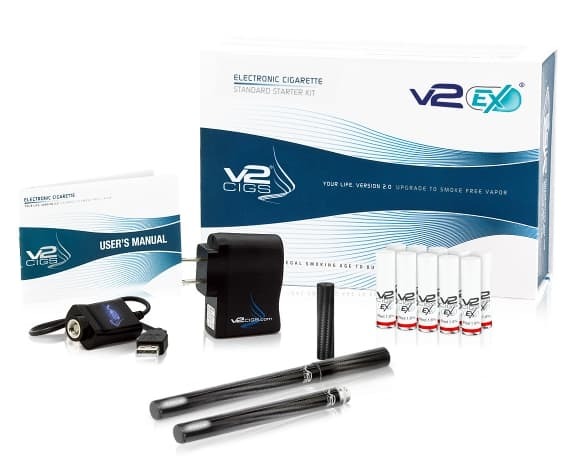 To avoid the costly instance that naivety might allow, choose Vapour2’s simple starter kit. This inexpensive bit of kit comes with everything you need to start vaping straight away. It includes a rechargeable battery, USB charger, and your choice of different flavoured e-liquid cartridges. This way you can sample the variety of options available. Identifying your preferred e-liquid flavour is essential. To enjoy the experience of vaping and staying on course to become smoke-free, give them a go. If you don’t like what you’re vaping, the chances are you’ll quickly revert to being a smoker are far higher. Each e-liquid cartridge is the equivalent of 20 cigarettes. With four included in a pack, at £19.99, your first experience of e-cigarettes will already be saving you money. Far better than your usual consumption of cigarettes. Enjoy quality and consistent vaping experience with the EX Starter kit from your first puff to the last. The EX Series Vaporiser (£38.75) is considered to be one of the best starter kits available. Sleek and stylish in design, innovative technology found within the cartridge creates a ‘tank’ like experience without increasing the cartridge size. This provides you with double the puff count compared to the Vapour2’s standard Starter Pack cartridges. Already convinced of the virtues of vaping? Know which e-liquid flavours you already like? If you’re looking for a robust device with a range of features to satisfy your every need, then the VERTX Plus is a powerful, playful and uncomplicated bit of kit. Enjoy touch screen controls that allow you to adjust the thickness of your vapour. With extra power to provide up to 650 puffs per cartridge, get three times the amount of the standard Vapour2 e-liquid cartridges! Due to the nature of disposable e-liquid cartridges, the blank cartridge provided with the VERTX Plus means that you’ll be able to cut down on waste and refill the cartridge yourself. Simply add your favourite flavour. There you have it – three excellent, easy to use, starter e-cigarette kits to help you start vaping and stop smoking today — happy vaping. Yarns, fables, fantasies, legends, myths…whatever you call them, vaping myths are amongst them. Whether around the campfire or propped up against the bar of your local pub, for centuries stories have been told, emboldened, and inflated from one teller to the next – it’s kind of a thing that we humans do from time to time. Cornerstones of aimless conversation, tales can tend to lack the kind of substance and truth that can, instead of providing fruitful fodder for debate, can, in fact, put someone off making a potentially life-changing decision. 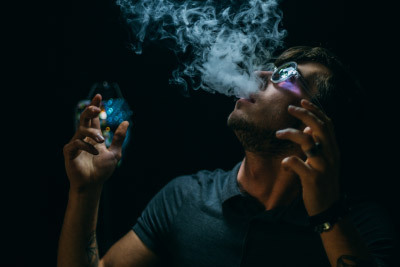 Due to the nature of e cigarettes and vaping (“nicotine, electricity and vapour oh my”), there are unfortunately some folk that exist staunchly set on giving vaping a bad name via the stuff of legend which may account for the reason that 44% of UK smokers believe that vaping is as bad for you as smoking. 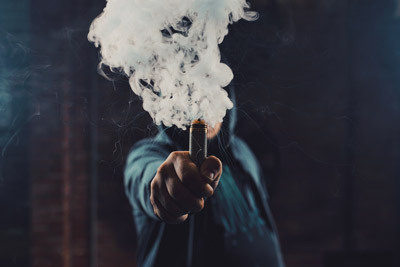 From the outlandish to the ludicrous, let’s take a look at how to make sense of vaping myths and how to stay smoke free. 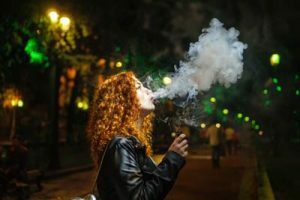 Vaping Is Bad For You: Not true – Public Health England declared vaping to be 95% less harmful than smoking and that actually e cigarettes have the potential to help tobacco smokers become smoke free. Nicotine Is Bad For You: Because nicotine has traditionally been associated with cigarettes, people can tend to think that that’s what is harmful as opposed to the thousands of the carcinogenic chemicals, carbon monoxide and black sticky tar released from the burning of tobacco. While nicotine is highly addictive, the quantities it would take to suffer serious harm would be extraordinary. With e-juice typically available in varying nicotine strengths from 0% – 2%, the most you’re going to feel is a little queasy – if this is the case, simply go down a level in nicotine strength and drink lots of water. Popcorn Lung: A real disease. Discovered following factory workers complaining of respiratory problems while packing popcorn containing the food additive diacetyl. While low levels of diacetyl were found in some e-liquids in the past, in the UK the substance is banned under the Tobacco Products Directive. Navigating the noise that surrounds e cigarettes can be a fairly straightforward task to undertake. In an age where information has never been more readily available, at a touch of our fingertips we can access a wealth of knowledge. But how do we know what’s fact and what’s fiction? If the story you hear sounds wild and fantastical, the likelihood it is. Trust reputable sources such as Public Health England and do some thorough research for yourself. As we mentioned, one of the most important pieces of information to consider when it comes to whether or not you’ll continue to smoke or pursue the potentially life-changing way of vaping, comes from the knowledgeable folk at Public Health England who said in 2015 that e cigarettes are up to 95% less harmful than smoking tobacco and that vaping has the potential to help smokers quit. While incorrect conversations may continue around you, the only way to stem the flow of false information is to be a beacon of knowledge and to have the conviction to let smokers know that vaping is a safer alternative to tobacco products. Spread the good word. If you’re already vaping, you’re having a better start to the year than some. As we reach the conclusion of another year here on planet earth, the time to take stock and ponder on the year that presents itself to us yet again. A timely reminder to remember the goals we set at the beginning of the year, as well as wishing for what we would like in the year to come. Whether you’d like to be healthier, wealthier, or wiser the New Year gives us a fresh starting block to launch from with renewed fervour and enthusiasm. If the past year has involved you ditching some questionable smoking habits and switching to the less harmful form of e-cigarettes to help you become smoke-free, then the New Year may be a good time to pick up some new equipment and replenish your stock of e-liquid. Starter Packs are often the best and most affordable introduction to vaping and the accompanying prefilled cartridges are a straightforward, hassle-free way to get your fix of nicotine. 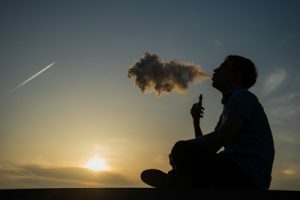 However, these introductory e-cigarette items are not always the most environmentally friendly form of vaping and in the long run may not be as an affordable option as other devices and set-ups available on the market. Upgrading your devices set up does not need to be a costly exercise. If you have purchased a starter pack the likelihood is that you’ll be able to continue to use the bulk of accessories that came with pack initially such as the rechargeable battery and USB charger. In order to cut your costs down and take more control of your vaping, you’ll be able to buy compatible blank e-liquid cartridges with which you’ll be able to manually top-up your e-liquid as you see fit. If you have little cash to splash this January, why not completely upgrade your starter device to the substantial power of a sub-ohm vaporizer such as the Vapour2 Pro Series Vaporizer? Offering a longer lasting battery and an overall larger e-liquid cartridge, Pro Series Vaporizers produce a thicker vapour, larger vape clouds and a consistently flavourful vaping experience. Try something new this January and switch up your e-liquid flavours. Creatures of habit, it’s easy enough for us to get lulled into a false sense of security, content that what we know, and what we’re used to, is ‘best’. You might not know it, but if you’ve been using the same flavour over and over again, you may not be getting the same vaping experience that you enjoyed at the beginning. Whilst the taste buds on our tongue, of course, play their part, it is, in fact, our olfactory sensors in our nose that are more likely to be affected by vaping and subsequently become over saturated with the same flavours. If you’re a frequent vaper, we would always recommend having a go-to choice of three or four flavours to cover the basic set of tastes that your olfactory sensors detect – sweet, sour, bitter and salty. Purchase a 6x10ml sample pack of e-liquids to experiment with flavours and find your favourites to move into the year ahead with. Eager to save some money? Keep a keen eye online for the annual January sale and pick up your favourite products at a fraction of the cost. Unless you’ve been living under a rock, you may have noticed that vaping and e-cigarettes have become a kind of big deal. Long gone are the days that smoking seemed cool, indeed the opposite is true as tobacco becomes taboo and we sensibly strive for a healthy future, let’s take a look at the rise of vaping in the UK and how e-cigarettes are helping literally millions of smokers, relinquish an unhealthy habit of a lifetime and become smoke-free. The number of smokers making the switch to e-cigarettes continues to rise as a survey by anti-smoking campaign group ASH estimate that some 3.2 million people in Britain now admit to vaping and of over half of those surveyed, said they switched to vaping after quitting tobacco – in 2012 the number of vapers in the UK stood at just 700,000. Heralded by Public Health England as being up to 95% less harmful than smoking tobacco, e-cigarettes have the potential to enable tobacco smokers to become smoke-free. Annual campaigns such as VApril and Stoptober have enabled the message of e-cigarettes to be heard far and wide, as the voices of UK health officials and Government groups add their support to see vaping recognised as a drastically less harmful alternative to smoking cigarettes. Slowly but surely, with the complementary addition of devices such as e-cigarettes and vaporizers, together with traditional cessation products and recommendations made by doctors and health professionals, the number of smokers in the UK continues to fall. Where a smoke-filled pub or even office may have been a thing of the past in the UK, the nation’s collective recognition of the harm tobacco incurs, has seen our nation only bettered throughout Europe by Sweden in terms of our population’s smokers sitting at 7.4 million (14.9% of adults in 2017). NHS statistics report that this figure is down from 15.5% in 2016 and 19.8% of adults who smoked in 2011. Additionally, there was also a 2% decrease in smoking-related deaths in England in 2016, sadly representing 16% of all deaths. While both the increase in numbers of vapers and a decrease in those that smoke is encouraging news, there is much to be done to enable our society to become a smoke-free one. From myths such as popcorn lung to nicotine is bad for you, education for smokers about the very real benefits of vaping compared to tobacco is a necessity. Due to the nature of nicotine delivery and the exponential growth of the industry and vaporizer devices alike, the expected red tape and restrictions naturally lie in wait. Whether they are advertising limitations on what e-cigarette companies can convey as a healthy alternative to smoking or simply where in public spaces we are allowed to vape, industry ambassadors such as UKVIA, together with various government groups and health officials actively continue to campaign for vaping to be considered a viable product for cessation. If you’re serious about ditching smoking then join the millions of other UK smokers in realising your ambition to become smoke-free and let vaping help you on your way to becoming a healthy, smoke-free, brand new you. Have you signed up for Stoptober yet? Launched in 2012 and led by Public Health England’s One You campaign, to date almost one million smokers have signed up to the Stoptober challenge, which encourages smokers far and wide to ditch cigarettes for a period of 28 days in the hope that once the month is up, you would have forgotten all about your want to light up. 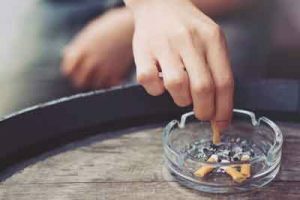 Whilst smoking cigarettes habitually may not seem like such a big deal on a day-to-day basis, the long-term impact and cost on our health and public services is significant. In 2015, there were estimated to be around 79,000 deaths in the UK attributed to smoking or smoking-related diseases, which accounted for 16% of all deaths that year. Public Health England’s One You campaign, encourages people to make small changes to their life to improve their health; whether that’s eating more fresh fruit and vegetables, doing exercise or doing things like quitting smoking. The dedicated website to all things Stoptober provides a plethora of information, tools, and tricks to help support you throughout the month including an app available for download which will help monitor and track your progress throughout the month. There are some great products on the market that you’ll GP will be able to provide you with, but have you thought about trying e-cigarettes? Declared by Public Health England to be up to 95% less harmful than smoking tobacco, e-cigarettes are fast-becoming the go-to device to help smokers quit with an estimated 2.9 million vapers already using e-cigarettes in the UK. The tobacco-based cigarettes that you may be used to smoking are packed with thousands of chemicals that produce carbon monoxide and tar which you are essentially inhaling into your body’s every time you smoke – hence the tens of thousands of deaths attributed to smoking every year. E-cigarettes use a rechargeable battery to power an atomiser that in turn heats a nicotine-based e-liquid until vapour forms, which the user then inhales to simulate the act of smoking. E-liquids are available in a number of traditional tobacco flavoured options as well as some fruitier concoctions, which abate any sugar cravings you may experience in your withdrawal from tobacco (tobacco contains up to 20% natural sugars). Additionally, e-liquid is available in a number of nicotine strength options which means that over the course of time you’ll be able to slowly reduce your nicotine levels completely. Based on research that states that you’ll be five times more likely to stay smoke-free for good following 28 days without a cigarette, it’s important to remember that it’s still not too late to join thousands of others smokers attempting to quit this October. You’ll still be able to sign up to the Stoptober campaign throughout the month and gain the same kind of support whatever and whenever you need it. By breaking the month into manageable chunks, you’ll find the time passing in a flash and before you know it you’ll be smoke-free! Stoptober aside, it’s never too late to attempt to stop smoking. It’s a tough challenge to take, but in hindsight, healthy new you will be forever grateful for your efforts, whenever they may be. Stub it out this Stoptober. We love our vapour flavours, don’t we? Along with actual vapour production, it is one of the two most sought-after attributes of vaping. Those who have made the switch to vaping are after other things, such as a good throat hit, price savings, etc. But, it’s really flavour and vapour that top the list. While you can chase vapour clouds to your heart’s delight, usually by getting into sub-ohm vaping, what can you do to get more flavour? That’s our topic today, as we give you five ways to boost those flavours and make your taste buds sing. Keep Your Gear Clean. Maybe you don’t enjoy cleaning your room, but you will enjoy better flavours if you keep your vaping equipment clean. Making sure you clean your tank, especially to prevent any residue buildup, will go a long way in giving you crisper flavour output. Beware of Vaper’s Tongue. The dreaded vaper’s tongue could be a reason you aren’t getting the flavours impact you are used to. This condition is essentially you overloading your tongue with too much of the same flavour so your taste buds are working overtime. Cut them some slack and switch to a flavour completely different than what you are used to. You should see your tired taste buds come back to life because of it. Store Properly. You should always store all your vaping equipment properly as a matter of practice. When it comes to flavour, you’ll want to pay extra attention to your cartridges and/or e-liquid. Always be sure your e-liquid bottle is sealed tightly so the flavour composition doesn’t change due to your vape juice being in contact with air. If your cartridge isn’t in use, put it in a case or plug it for the same reason. Storing e-liquid and cartridges properly is one important way to get the most out of your e-cigarette and to boost your vaping flavour. The Right Drip Tip. You wouldn’t think much of it, but the drip tip you use can also make a difference in terms of flavour. While some people, especially cloud chasers, prefer a very large opening to get more vapour, the opposite goes for flavour. A decent sized hole in your drip tip is okay, but nothing too big. Using a quality aluminum drip tip with a small or medium sized opening generally will allow you to get better flavours from your vape. Choose Premium E-Liquid. Last but not least, you should absolutely choose a premium e-liquid. Whether you use cartridges or refill your own tank, the quality of the vape juice you purchase will likely be the most important facet of getting a great tasting vapour experience. Grabbing some cheap e-juice may seem alright at first, but you will quickly tire of their sub-par flavours. Make a commitment to purchasing premium e-liquid, such as V2’s platinum e-liquid and cartridges, and you’ll immediately notice a difference. Attention to detail is crucial for great flavours, and that’s what you’ll get with premium e-liquid. If you’re reading this, it means you are looking to get more out of your vaping experience with regard to flavour. Why wouldn’t you? Any vaper should be looking to improve their experience and a critical element of that would be vaping flavour. You’ll want to take stock of the above ways we recommend you do so. These aren’t the only tips for improving your vape flavour, but they are the most popular and effective. At the very least, they are a great place to get started. Once you incorporate these into your vaping habits, you should notice a real difference with your vape flavour. Go ahead and try it, and be free to tell us if they made a change for you. We’ll be happy to hear from you and we’re always here to help make your vaping experience that much better. Happy vaping! CBD has become popular as a result of a lot of recent publicity in the headlines. This includes a recent article that appeared in the “Independent” which reported the UK Government’s MHRA’s assessment on Cannabidiol (CBD) could “provide ground-breaking results” in leading to reform over cannabis’ medicinal use in the UK. 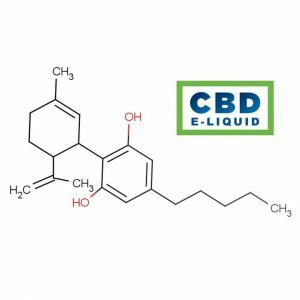 The MHRA assessment report states that the CBD product has a “restoring, correcting or modifying” effect on “physiological” functions. Furthermore, clinical trials have shown the safety and efficacy of the product which has helped people with several different illnesses, even cancer. 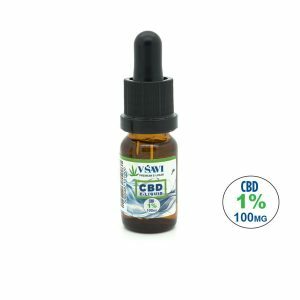 VSAVI CBD vape oil ticks all the boxes and is our CBD vape e-liquid of choice. The vast majority of other Hemp oils and e-liquids contain flavourings and we suggest steering clear of these. So if you’ve decided to buy CBD oil, stick with a plain one. Why are people using CBD oil? There are many reasons why it is so popular but here are some that you may not have heard about. A recent CBD Oil UK study found that it was effective in reducing the desire to smoke cigarettes. Cannabidiol was found to be effective as a sebostatic and anti-inflammatory agent in the treatment of acne. It inhibits lipid synthesis. Curtailing the development of diabetes. Shows promising results in the treatment for fibromyalgia. It has shown promise in halting prions which is the protein that causes neurodegenerative diseases like Creutzfeltd-Jakob and mad cow. CBD is known to produce anti-anxiety and anti-inflammatory effects when ingested. It slows everything down and calms the user. It is therefore helpful in the treatment and management of PTSD and both chronic and acute anxiety. There is some early documented evidence that it is an effective treatment for Crohn’s disease. There is evidence to suggest that CBD has the potential to reduce various aspects of Multiple Sclerosis. One of the very few side effects of CBD is tiredness so it has proved effective in dealing with insomnia. CDB has known antiemetic properties and has therefore proved to be effective in alleviating vomiting and nausea caused by chemotherapy and some other therapies. There is therapeutic potential for the treatment of seizures as it has anticonvulsant properties. CBD oil is not addictive and will not get you high. Although cannabis is known to be an illegal addictive substance, CBD has none of the psychoactive components that characterise marijuana. While Cannabidiol has a therapeutic effect, it does not cause any unwanted psychoactive effects and actually has an anti-psychotic effect meaning that it can be used in the treatment of patients with schizophrenia. Different cannabis plant strains have been cultivated for various purposes. The variety grown for medical and recreational purposes, marijuana, has a lower level of CBD and a higher level of THC, while other strains have higher CBD content and under 0.2% THC. These are known as hemp which has a number of industrial uses, including the use of its fibres in manufacturing and the extraction of its Cannabidiol for medical purposes. While the levels of THC in marijuana can be high enough to cause addiction, when CBD oil is derived from hemp seeds it has a minuscule THC content and can therefore be used safely, without psychoactive effects and without running the risk of addiction. 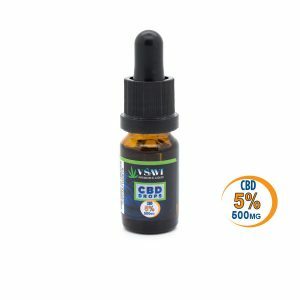 VSAVI also has their own CBD oil for those users who do not want to vape CBD, the difference is that the effects of the drops can take longer to register to drop into an hour. Whereas the CBD effect can be instantly felt with vaping. Also, the vaping oil may taste plain and earthy for some people, you can mix any e-liquid in to add some more flavour to the oil, or you can use VSAVI’s very own 100% VG e-liquids in. If you do have any questions on the use and application of VSAVI CBD vape oils ring them here 01733 555 555 or email help@vsavi.co.uk. We have never been a fan of Cigalikes here at quality e cigs. We generally thought they are an “ok” aid to stop smoking, but never really cut it. 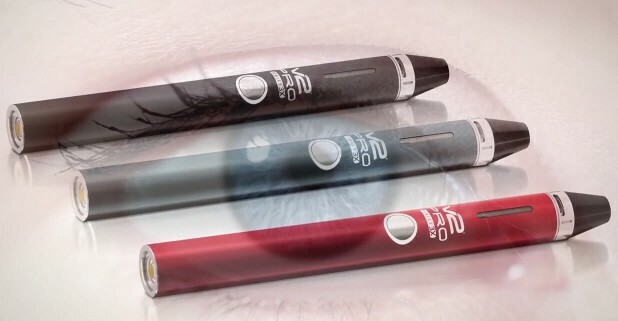 Personally I was never able to quit before I got my Pro 3 vape pen, that was a few years ago and best e cig technology has advanced significantly. That being said the V2 Cigalike is a piece of genius. The battery and cartridges are not only a higher specification, 4.2 Volts for example rather than the standard 3.7 Volts, which means an all day vape and more importantly vapour production that actually feels like smoking. V2 have now over 2 million customers worldwide so they are doing something right. V2 have done a promo video we have dug up, it sums the product up really well, it is also a little different so is worth watching if you like a laugh. We will leave the talking to “Chuck Wolfgang” on this one. The V2 Pro Series 3 is more than just a good E-Cig. It is the best vaporizer out there. Sites like Gizmodo and T3 highlight the Pro 3 and it always features in the best vape pen reviews. Latest tech. design ensures the best vape available and no leaks! We will discuss this 3-in-1 piece of kit I’ve been lucky enough to get my hands on. In this vaporizer review we’ll also have a look at battery life, ease of use, vapour production and everything else that matters in a good vape pen. Why is the V2 Pro the best vape pen? The V2 Pro comes with 3 cartridges, all with magnetic attachments, you simply drop in your attachment and it snaps firmly in place. This goes for the charger too. The charger is also a snap in magnetic mechanic that can also be used while charging. The three attachments consist of a standard E-Liquid vaping unit, a Loose leaf attachment, and the Essential oil attachment. The loose leaf and essential oil attachment are covered by the one component however you wouldn’t use it for both because either would contaminate the other. The new Pro 3X now comes with upgraded battery, ceramic sub ohm cartridges and increased coil versatility. V2 have also launched a ceramic sub ohm version of the e liquid cartridge which provides for significantly more vapour. The 3X has more options than the Pro 3 standard pen. With the range of variable resistance coils is is more configurable and through the use of sub ohm coils offers more vapour and taste and hence is more enjoyable. “V2 has moved with the times, and is now probably ahead of the times with the advent of the V2 Pro 7X and Pro 9 arriving in 2018”. Firstly and most importantly, the vaping quality of the V2 Pro is unparalleled in anything I’ve ever tried. My preference so far was the V2 Ex-Series especially for the new user so its fair to say I am a fan of V2, but for advanced users this is the one, it’s unreal. They are literally redefining vaping. Generally on an Ego there is a voltage setting to set the strength, on this product it automatically detects if an E-Liquid, Essential Oil, or Loose leaf Tobacco is in the E-Cig. It then sets the voltage to the optimum. The smoke production is amazing, the taste is perfect, the throat hit is big and really does feel like you’re smoking a superior product – not just a good vape pen or vaporizer, it is vaping at its best. The vaporizer chamber or “oven” works by heating up to a searing 180 Degrees C in less than 30 seconds, which seems incredible. I have tried many others, most take the best part of a minute or more, and deliver an inferior vape. We do not promote vaporizing Loose Leaf as a rule of thumb, but for somebody making the switch from normal cigs to E-Cigs, vaporising Loose Leaf on occasion would be ideal. Plus the fact you can literally just snap in the cartridge you want is a huge bonus. You will need to grind the “smoking material” prior to placing it in the oven. The attachment for this is not out yet, it is expected in September, and will come with a wax option, really can’t comment further on this because I haven’t tried it myself. However as this is the best E-Cig ever so far, more options can not be a bad thing. The V2 Pro really stands head and shoulders above the competition, nothing even comes close. The absolute finesse of how it works, the magnetic system, the long battery life, everything just comes together in a well presented vaping product. The top of the range Pro 3X is a dream! The V2 really stands out, if your friends vape, and they see yours, they will want one. “Vapour Envy? You bet”.